Ukrainians love pan cakes. I have provided few pancake recipes on my blog, such as huge pancakes or apple pan cakes. Here is another one, we call Nalisniki. This word means that the pancake is large and covers all the pan. The plate beneath the pancakes is large. These are the basic ingredients for these Ukrainian pancakes. Add egg to the milk, stir well, then add salt and sugar. Finally, start adding flour spoon by spoon. The mix has to be pretty liquid, but with no blobs. Usually, I mix it with a hand whisk, but you can also use an electric one. Only in this case you would have to add more flour. The mix has to be as thin sour cream in its texture. Then you heat up the pan, pour in some vegetable oil, take a larger spoon and pour the mix on hot pan. You fry the pan cakes on both sides. 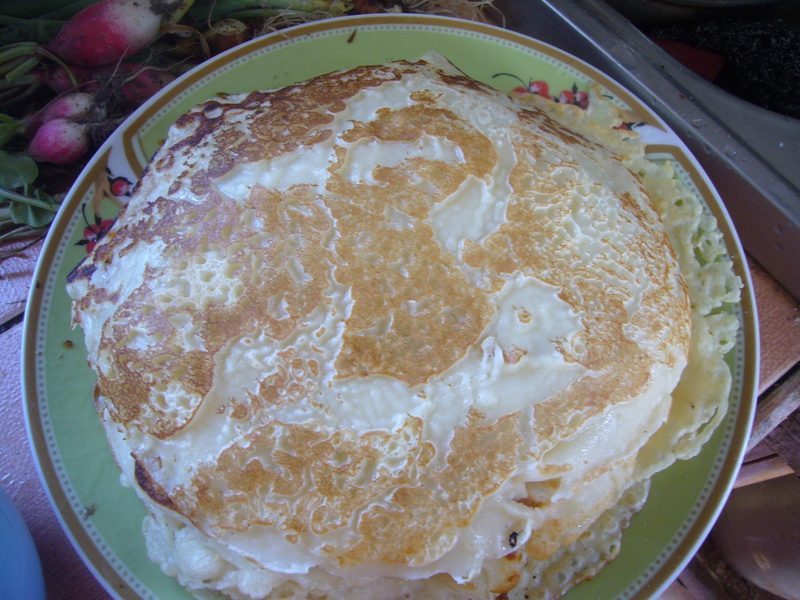 That is the basic Nalisniki pan cake Ukrainian recipe. This entry was posted in Easy Recipes and tagged breakfast, breakfast recipe, busy mom, cooking, cooking tips, easy cooking, easy recipe, eggs, flour, food, Nalisniki pan cake recipe, pan cakes, pancake recipe, recipes, tips for moms. Bookmark the permalink.